The Landowner Relations and Habitat Enhancement Program focuses on enhancing habitat and securing public recreational access throughout state. This is achieved through a variety of programs described below. See the attached map to contact your local program specialist. Wildlife Habitat Enhancement Program – Wildlife Habitat Enhancement (WHE) projects are supported by application fees for Arizona big game tags and Pittman-Robertson Federal Aid funds apportioned to the state from sales of firearms and ammunition. WHE projects are designed to bolster populations of game and nongame species at landscape-scale, leveraging diverse partnerships and funding sources. 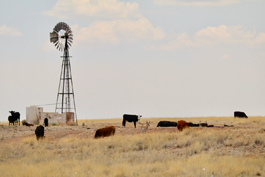 Adopt-A-Ranch Program – the Adopt-a-Ranch Program can offer volunteer labor to perform ranch maintenance, such as repairing fences, picking up litter, etc. 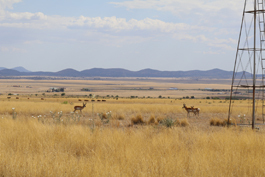 ; with support from the Department, volunteer groups visit their “adopted” ranches once or twice a year to complete mutually-beneficial projects. Landowner Respect Program – the Landowner Respect Program provides signs to landowners to inform the public of laws and etiquette for using ranch lands; the Respect Program can also provide gates, fence ladders, sign-in boxes, kiosks, etc. to improve issues related to public access.